Next week Walt Disney World, and more specifically the Magic Kingdom, will celebrate its 45th anniversary. 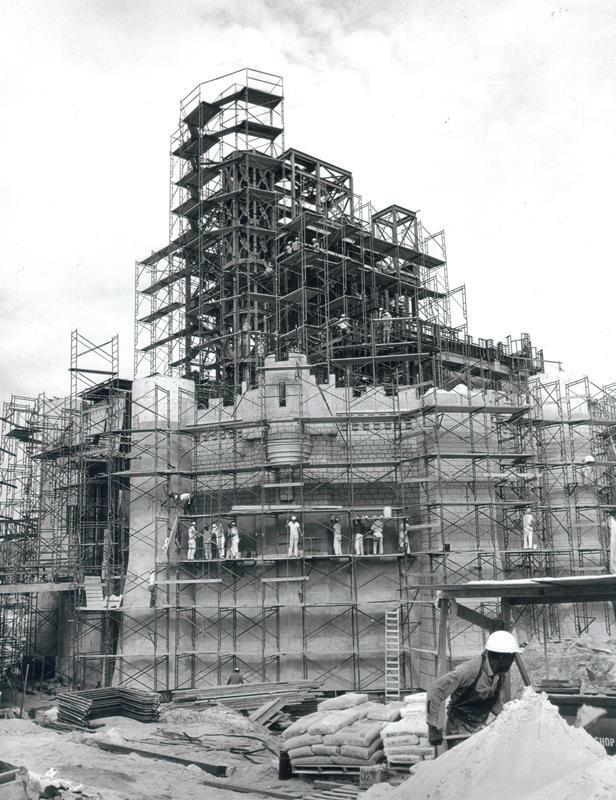 I wanted to take a step back and visit a time over 45 years ago when Cinderella Castle was being constructed. In March of 1971, Walt Disney World released the photo and description below. BUILDING A CASTLE -- Turrets and battlements of Cinderella’s Castle begin taking shape in Walt Disney World near Orlando, Florida. Towering more than 18 stories when completed, the building will be a main theme structure in the new “Magic Kingdom” park. Workmen can be seen turning concrete walls into a “granite” fortress. Gold-crested spires will crown the new castle which may rival Europe’s finest. While I don’t know that it rivals some of the castles, chateaus, and fortresses of Europe, Cinderella Castle would go on to become a beacon for the Magic Kingdom. Visible from corners all over the park and even from across the Seven Seas Lagoon, the castle is that touchstone that we all recognize and adore when we think of Walt Disney World. Disney tends to not post construction views like this anymore.